As many as one in four women have suffered severe neglect or abuse in childhood. This doubles the likelihood of their suffering clinical depression in adult life. 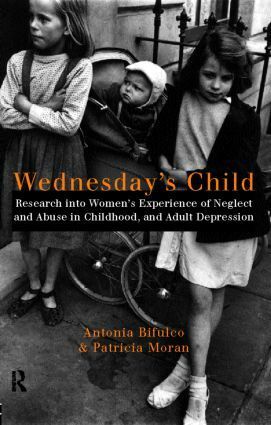 Based on twenty years of systematic research,Wednesday's Child examines why neglect and abuse occur and demonstrates how such negative experience in childhood often results in abusive adult relationships, low self-esteem and depression. Drawing on interviews with over 200 women, the authors show vividly what can be learned from the experience of adult survivors of abuse. Most importantly, Wednesday's Child assesses the factors which can reduce the later impact of such experience on both the children of today and the parents of tomorrow.